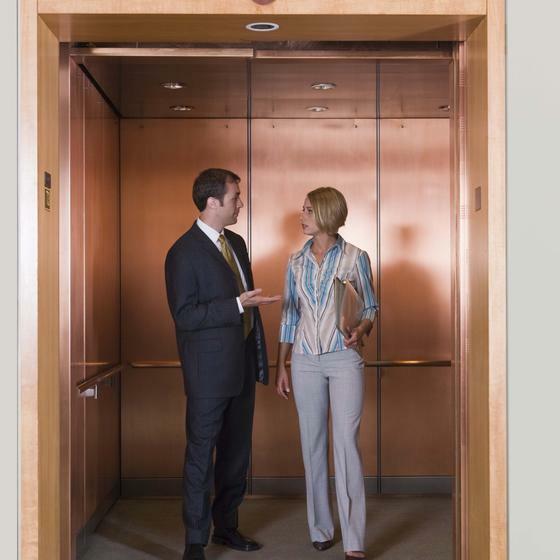 You are standing in an elevator and have two minutes to tell someone about your book. Today we’re going to talk about crafting that one-sentence summary, also known as a logline, a hook, or a one-sentence (elevator) pitch. This is not your book’s tagline! ← OMG! What if B&N Closes? In Tokyo, a foreigner discovers his magic makes him an international criminal, so he joins the yakuza to escape the government agents. An eleven-year-old boy with a metal neck circle and no memory escapes a kids’ work camp, fighting to discover why his memories–concealed in a small golden orb–are more valuable than his life. A shy German immigrant who survives the coffin ships, The Trail’s bloodiest history, and the Shanghai Tunnels, brings real beer and true love to 1850’s Portland, Oregon–and encounters his greatest danger yet. A young logic wired psychologist is thrown into a paranormal world that is anything but logical and must find control of her true self in order to survive the Darkness that haunts her. Why is Darkness capitalized? The Devil! Very intriguing. Or is it the dark recesses of her mind? Hi Amanda, it is something very much of both. The Darkness is the mixture of an evil that lies condemned in a place called Erebus and it is also the darkness that harbors deep within her subconscious. This evil tempts my characters moral judgment and uses his sympathetic façade of her suffering to pull her onto a dark path in attempts to trigger the darkness within her; using her gifts and naivety for his gain. Trials and tribulations. The true story of Sophie, an 80 year-old- homeless woman that fell in front of my husband. He didn’t know what to do with her so he brought her home and she lived with us for 2 1/2 years. A surrogate mother gives birth to twins, the intended parents never come to pick them up and she has to decide whether to take them home or send them to social services. Negative words turn into negative thoughts and actions, but they can be displaced and replaced with positive words, changing a mind and life forever! A semi-mortal, Taina spiritual warrior is saved from certain destruction by her sworn enemy and must solve the mystery of his intervention while battling to keep the mortal world from plunging into eternal darkness. One woman’s solo trek through Europe, where she meets the most incredible couch surfers, find’s her faith, and ultimately learns how to survive in the real world. Through A Child’s Eyes structured rules and guidelines to protect children from child sexual predators that mothers may unintentional bring into their lives. Stuntman Clay Stark steps into the gorilla suit on the movie set, only to find himself the target of the police and a mysterious saboteur. Altarn travels in disguise across Endendre to discover if she is on the cusp of being responsible to dethrone a king, but never imagined she would dethrone his heart instead. Fourteen-year-old Missy is excited for school to end and summer to start, but things change when her family’s past becomes part of her current nightmare. A young woman moves home with her pre-teen son, after witnessing her husband’s affair. Can she move on and find herself again while dealing with her terminal grandfather? I punched a ten-year-old in the face, stole marijuana from a drug dealer, and dumped thousands of donated dollars into a few dubious business ventures, all in the name of being a missionary. Everybody knows nothing exciting ever happens at band camp; until one chilling night in the woods changes seven teens and one band director’s lives forever, forcing them into keeping a foreboding secret. A young girl, considered mentally challenged in this world but trained by angels, must use all her supernatural skills to save an African village against genocide thereby rescuing herself. A scared teen in 1969 is pregnant, sent away and forced to give up her baby, searches and finds him 29 years later. THE GIRL IN THE JITTERBUG DRESS is the parallel story of two young women struggling with love, loss, and redemption, united across generations by a 1940’s swing dress. A Rosie-the-Riveter escapes her abusive family only to find herself in the arms of a determined shell-shocked soldier. Caden, her rescuer’s buddy, in hopes of finding the arsonist before she’s targeted for what she knows. The Meeting Place: Lookout Point is the author’s weekly destination where she seeks God’s presence for healing and peace while immersed in the solace and beauty of nature. We send our kids to college knowing the dangers in the dorm room but not the ones in the classroom. As a college instructor, a parent, and a Christian, I will help you count the true cost of higher education. A disgruntled, but noble, clone must battle in a virtual reality arena for her life and others while rediscovering the meaning of love in a tattoo-addicted world that has forsaken the concept. The City of Ink. A small-town ballerina who’s engaged and dreams of dancing at the Met, makes a mistake and loses everything when her famous ex-boyfriend shows up in town to dance with her and win her back. Enslaved from childhood in the first president’s household Ona realizes freedom will not be granted, and chooses to right that wrong by running away, compelling George Washington to right that wrong in several ways, with enormous stakes for both. Gap Year: a Memoir – A woman battling depression after a crushing breakup and empty-nest syndrome travels as a volunteer through Spain and South America, seeking adventure and clarity. A retired and recently widowed teacher finds a new calling when she meets an abused foster twelve-year-old. An unjustly imprisoned family discovers God’s provision in wartime, but must now face the challenge of looking like the enemy to build a life outside the barbed wire. A naive sophomore craves popularity with two cheerleader bully brats, leaving herself vulnerable to alcohol and a sexual aggressor, and dragging her into a destructive and frightening downward spiral. Embittered by his fiance’s betrayal, a young American leaves Paris and accepts a handyman job in a nearby village, unaware the elderly woman he works for has a decades-old secret. Well done! Makes me want to read. Thanks, Ellen. This is the first book in a new cozy mystery series set in France. My first mystery series, also set in France, is already published. This is definitely a book I would read. What is that secret? Does he reconnect with betraying fiance? Thanks, Amanda. The secret is about a murder, which the protagonist begins to research, along with his new love interest and the elderly woman. I’m working on edits now and hope to get an agent and big publisher for this book. I have five self-published novels, three of them set in France, one in Germany, and one in the U.S. The prophetic truth of the Rapture of the Church, followed by a time of trouble with millions being martyred, and ending with the second coming of the Savior and true peace among mankind! the first women to fight forest fires for the US Government. When Alice’s autistic son is accidentally killed by a woman on the way to hospital to give birth to her son, Alice seeks revenge. Thanks Amanda. Salutary. Shows how badly I’ve written the pitch. Although there is stalking, it’s not a thriller although could make one. Back to the drawing board. Since you’d made that comment it’s blindingly obvious thriller is what I’ve made it sound like. A less-than-honorable man finds a miserable day eventually becomes a nightmare of a night when the scorned woman who loved him retaliates with an unexpected vengeance. A widowed father must choose life with his new love or death with his family, granted by the man who killed his wife and daughter. I’m not sure what that means, “granted by the man …” but I am intrigued. The widowed father’s choice of further life or dying is given to him by the man who killed his wife/child. The bad guy is also dead but has the ability to offer this choice. When the boy she has raised from birth is stolen away by his father, a young woman has to decide how far God would want her to go to get him back. A woman hires the boy next door for cooking lessons, but when she learns she is pregnant with a special needs child, she realizes love is the secret ingredient to a fight for life. Current working title: A Rue Without You. lost to most of humankind on his journey – the manipulation of luck. A woman, losing family to building collapse, and a teenager, losing his mother to war, embark on an unexpected journey, finding life in the after. When an ancient evil separates royal twins, they struggle to survive a merciless war they cannot win without each other. It’s about a 6th-grade loner who gets chased through history by the time police and a cold-blooded killer, for crimes he hasn’t even committed…yet.